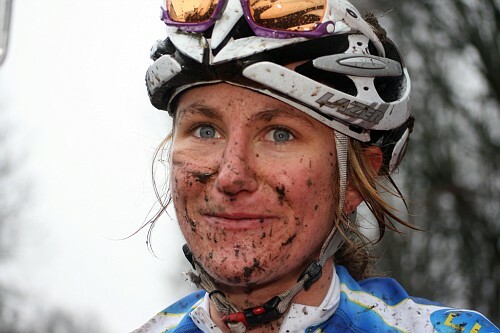 Cyclocross Pro Amy Dombroski Shared Why She Chose Cyclocross? Pro cyclist Amy Dombroski grew up competing as a ski racer. After a couple injuries, she switched over the cycling. Amy has been a pro road cycling, mountain biker, but she has landed on cyclocross. Amy currently rides for one of the top cyclocross teams in Belgium. Amy took the time to talk about training methods like the swiss ball and how it assists in her development, as well as, more traditional training methods. To listen to the complete show, visit here. This entry was posted in cycling, talk radio, training programs on April 19, 2013 by admin.